"Chess", Morgan argued yesterday, "is a carnal, primitive 'hobby' that satisfies bloodlust ...."
I think I have to agree although I'd probably insert "and stimulates" in between those last two words. Every time I see Peter Wells, for example, I get an almost overwhelming urge to give him a slap and yell "SORT IT OUT FOR CHUFF'S SAKE" into his nearest available ear. I should perhaps explain such an extreme reaction so let's take a look at Wells' performance at the recent Staunton Memorial. The comments that follow are taken from the round-by-round reports on the Staunton website. * "Feck me Alexander. 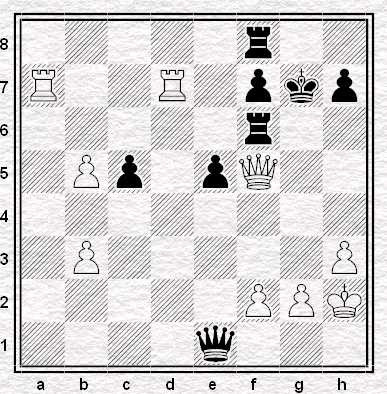 Now I'm going to end up on some blog with an eejit 1000 elo points my inferior telling me how I should play chess." All these favourable positions and not a single win to show for them. Yet Steve Giddens is too kind to Wells I think. 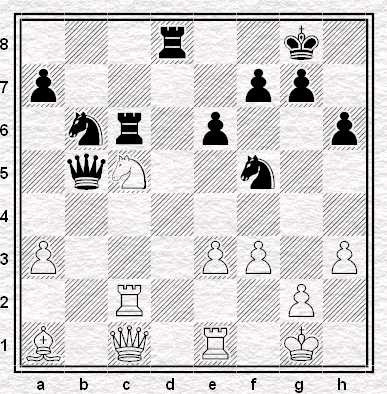 In reality it’s Peter who is “Peter’s great enemy” and it’s Peter who “was doing [his] usual nasty things to him[self].” If we ignore his short draws in rounds 4, 8, 10 and 11** and easy win against Bob Wade in round 2 then we can see Wells actually found himself in severe time trouble in two-thirds of the half dozen games he actually played out. Wells' performance for the tournament was just two elo points less than his current rating so finishing with five points from eleven games is far from a disgraceful outcome. Nevertheless the fact remains that had he taken full advantage of his opportunities he could potentially have wound up the tournament amongst the leaders. It leaves me wondering how many elo points he chucks away every year through poor time management. Wells, of course, is a notorious time trouble addict and seems totally unable (or is that unwilling?) to cure the problem but that isn't what drives me potty. Not exactly. It's not just the fact that an extremely strong player could be even stronger, it's that an extremely strong player seems to be going out of his way to avoid fullfilling the potential of his natural talent. I went to Simpsons-in-the-Strand for six of the eleven rounds and Wells was late every single time I visited. Just a minute tardy for the final round it’s true but usually it was about five minutes. Are you thinking that's not a big deal? Perhaps not but it if he could have added the lost time to his clock at the end of his game against Cherniaev it would have been enough to allow him to play on for a possible win. Probably this applies to the other games too and of course Wells could have put the missing minutes on his clock if he'd wanted to, albeit at the start of the game rather than the finish. For his defeat on time against Smeets Wells actually turned up something like ten to fifteen minutes after the round began. He simply gave away ten percent of all the time he had at his disposal for the first session. That's a reckless indulgence for anybody it seems to me but for a person who routinely ends up playing their last several moves with their flag hanging it’s just positively idiotic. I guess after a career spanning two or three decades Peter Wells is not going to change his habits now and I suppose you could argue that it's his attitude towards the ticking clock, both at the board and in life in general, that helps to make him the player that he is. I'm not sure I really believe that to be true though. I certainly don't understand why it should be true. I really don't see why Peter Wells can't be a talented Grand Master and turn up for games on time. For my blood pressure, if not for his rating, I really wish he'd sort it out. * Photo (click it for a closer look), as before, by Vad. He neatly caught the bald patch on the back of my head as I leaned in to find out how close Peter Wells was to losing on time for the second successive round. 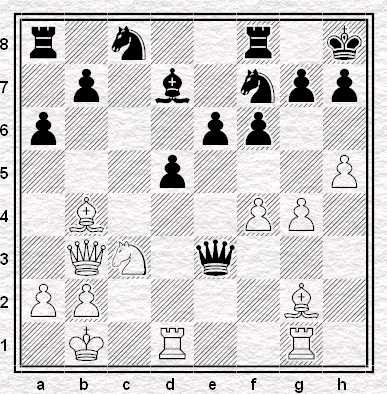 ** against Short (25 moves), Adams (23 moves), Speelman (15 moves) and Timman (17 moves) respectively. Being of a similar age to Wells (and older then you) I can sympathise: I have time-trouble nightmares too. I wonder whether arriving late is a lifetime habit or whether it might even be something he's tried to do deliberately in order to buck himself up, if you whatI perversely mean. 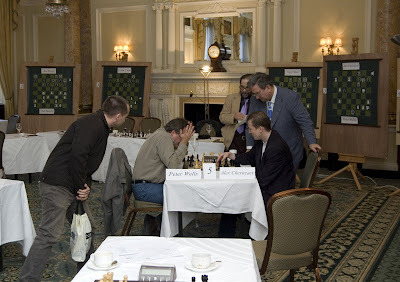 I share your frustration at players who habitually get into time trouble - I'm thinking particularly of Ivanchuk. You don't need to be a great player to know that time management is as important a feature of the game as accurate calculation, opening preparation, intuition etc. I half remember a quote from somewhere (Alekhine?) to the effect that time-trouble is no excuse for a blunder - the culprit is as guilty as the drunk driver who blames the booze, not himself! Perhaps time trouble addicts wouldn't get as many good postitions if they had to use the same amount of time as their opponent does. I don't get into time trouble as much as I used to, and although I still do at times, I've stopped using it as an excuse. Alekhine did indeed say something along those lines ... and he would know. I know age has an affect on thinking but I remember Wells being constantly in time trouble 20 years ago. It's not like this is a new thing. I understand what you mean about the motivational reasons for turning up late - but if that was it then it can't be said to have worked. Another thing we oldies know, of course, is that if you've had a habit for twenty years of your adult life you're probably not going to shake it off. Particularly a habit like this, which tends to affect people more and more as they get older anyway. Turning up 5 or 10 minutes late for a game is irrelevant if you are a time trouble addict. Funnily enough, I have no useful contribution to make on the subject of time-trouble addiction. True in the sense that 5-10 minutes would just melt away anyway. It is, however, very relevant in the sense that it's a clear signal to yourself, even before the game has begun, that you're not going to change because this is just how you are. If Wells could get himself to the game on time he has a chance of actually addressing his time trouble habit. I'm sure that's what they tell themselves.